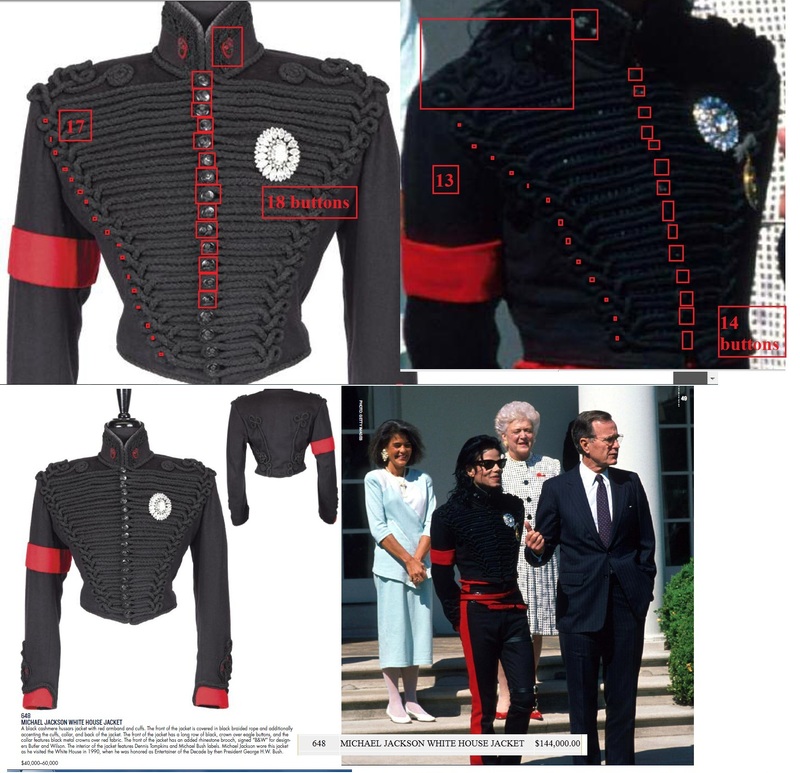 UPDATE:- After further research from many MJ fans, this jacket was found to be an MJ Jacket, but not the jacket worn by Michael when he visited the White House, as described in Juliens auction catalog. The item was listed as: MICHAEL JACKSON WHITE HOUSE JACKET. Which it isn’t. It was also used on MLB’s “tour” of the clothing with a large photo of Michael and President Bush next to it, advertised on hundreds of news stations around the world as well. In reality, its actually the Jacket that was worn by Michael at the 1994 VMA’s. 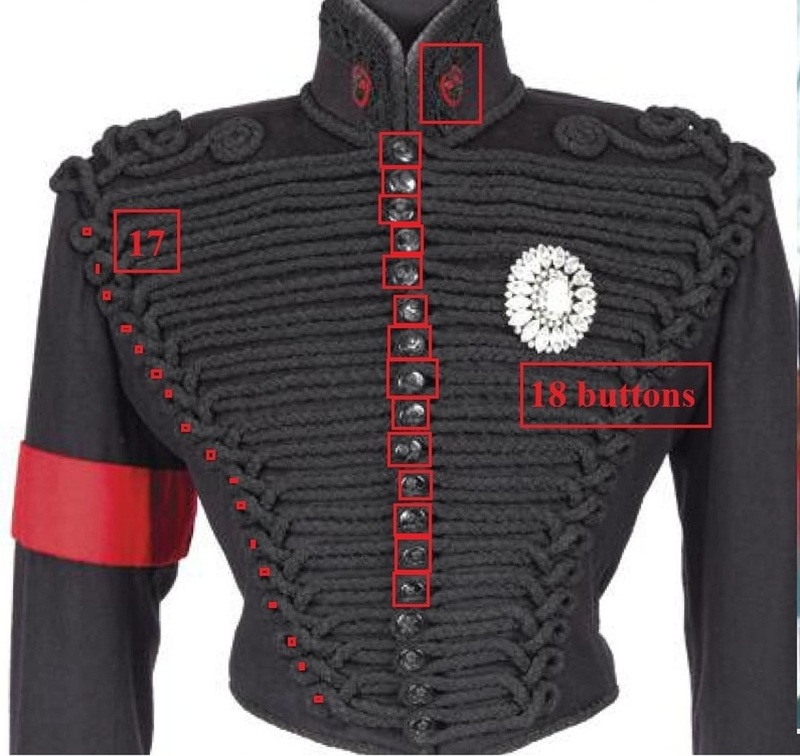 A brooch was added as an embellishment, making it appear to be the White House jacket. Does this change the value? It depends on what the buyer thinks of course. Maybe we should ask Lady Gaga the buyer of this lot. Thank you all for bringing this to our attention. If Michael Bush’s Provenance of the items is stated to be unquestionable, the description of the items and its history need to be accurate!!! Please also note that our blog pages will be updated as new information comes in on questionable items. We ask YOU to help us. Please look at the catalog closely and contact us if you can find any other discrepancies. You can click “Email Us” on the left of our web page, or contact Steve on AML Please note the Lot # of the item you are referring to. This was a tip given to Steve of Autograph Magazine Live via a person who wishes to remain anonymous! Since starting the discussions on the items in the auction, Darren Julien has filed multiple copyrights claims against the site Autograph Magazine Live, which brought together multiple authenticating experts to help us to get the truth on these forgeries! Many images have been removed from AML site for now, but the discussions are still there. Please take a look and see what you think! The jacket sold was NOT the one worn at the White House. 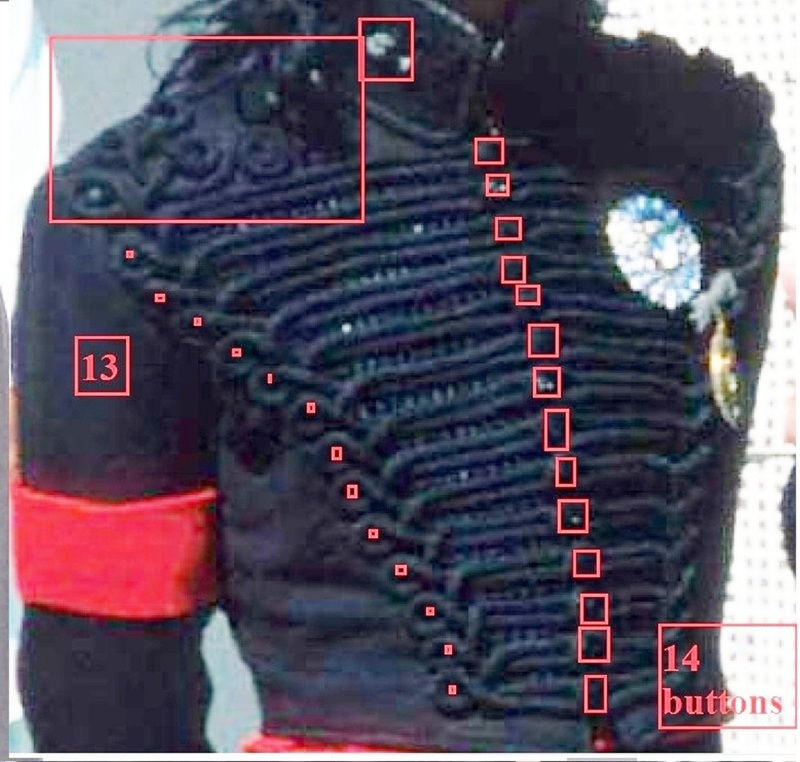 And Michael Bush knew it, but deceived buyers, this is an excpert taken from his book, saying Michael gave the original jacket away so a replica was made! Thank you Sandy Stadler for this insight.